vital signs, and breathing, postural and movement assessments. Achieve calm, focus, and balance with tailored breathing practices, relaxation, and meditation/ mindfulness practices. Optimise your wellness with Ayurvedic lifestyle and nutrition practices. 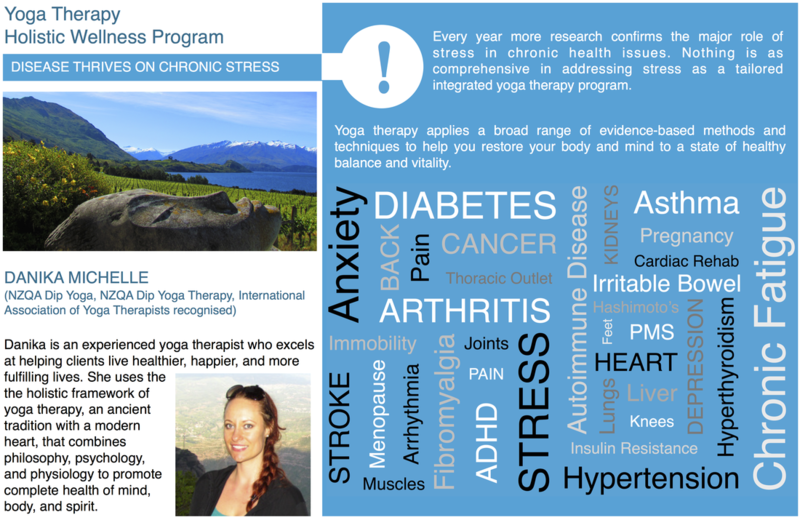 *Free membership for discounted subsequent personalised one-on-one yoga sessions. Available face-to-face for Auckland-based clients or online via Skype or phone from anywhere in the world enquire now about your individualised holistic wellness program.